• 100+ Poses easy to follow for one pose to next. 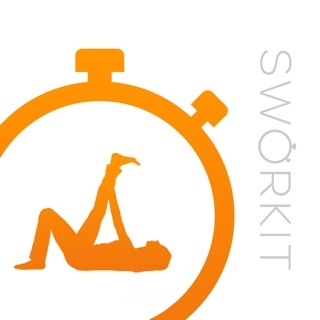 • Created workout collections to achieve specific yoga and fitness goals. • 20+ unique yoga classes designed by certified yoga experts for all levels. • Increase flexibility to boost your performance. • Leave the stress and focus on positive energy. • Balance the body while focusing the mind. • Collection of sounds and melodies to create unlimited ambiances and atmosphere, stress & anxiety relief. BALANCE - different yoga styles are combined that are focused to improve your balance. STRENGTH - a combination of power yoga poses that will help you to build your body strength. FLEXIBILITY - learn to focus how to breath, on your muscle recovery and flexibility of your body. Quick Yoga Fix - fit yoga into a busy day with a sequence that is both grounding and energizing. Getting Toned - develop muscle tone in key areas, including arms, shoulders, core, glutes, and legs. Morning Yoga - start your day with an invigorating yoga practice that emphasizes moving the spine in all directions. Daily Yoga for ABS - target and tone deep abdominal muscles. Yoga for Runners - yoga offers a unique combination of balance flexibility, strength, and mindfulness training that can help runners to improve performance. Boost Your Energy - recharge with this sequence designed to invigorate your body, mind, and spirit. Challenge Your Flexibility - develop flexibility through a series of intense stretches and apply the results to more advanced yoga posture. NUTRITION - be in the best shape ever! learn what to eat, discover fat burning foods and recipes. Eat tasty meals to speed up your metabolism. • Discover new Apps from VGFIT and achieve fitness goals. • Find out more Yoga Classes and Guides for your healthy lifestyle. • Play classes on your TV with AirPlay or Chromecast mirroring. • Get Motivation and share it with friends Join vgfit.com community. Fix bug where music disappear. We working for you , send us feedback what do you like or what we have to improve to make app better.